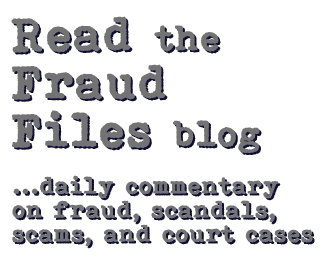 Tracy Coenen specializes in customized anti-fraud training for corporations, seminars, and conferences. Her depth of knowledge of fraud examinations and financial investigations, fused with an entertaining style, have made her an in-demand corporate trainer and conference keynote speaker. Tracy’s expertise in fraud prevention, detection, and investigation comes from nearly two decades of experience in accounting and fraud investigation. Her continued commitment to developing and implementing anti-fraud best practices allows her to bring cutting-edge knowledge to the table. A winner of the Marquette University College of Business Administration Alumni Entrepreneurial Award, Tracy commands attention and offers real-world solutions to the fraud problem. She has been a repeat presenter fore several organizations and companies, such as the Association of Certified Fraud Examiners, the Indiana CPA Society, Northwestern Mutual, and the Wisconsin Institute of Certified Public Accountants because she delivers value. We have a list of several popular topics, but customized content is always available for your organization.